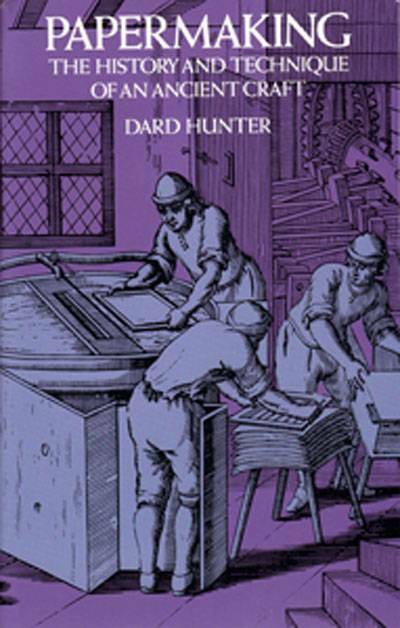 The classic book describing hand papermaking all over the world, with considerable technical information. Hunter traces the craft's history from its invention in China to its introductions in Europe and America. The foremost authority on the subject covers tools and materials; hand moulds; pressing, drying, and sizing; hand- and machine-made paper; watermarking; and more. Over 320 illustrations. Reprint of the second, revised, and enlarged 1947 edition. 688 pages. The classic book describing hand papermaking all over the world, with considerable technical information. Hunter traces the craft's history from its invention in China to its introductions in Europe and America. The foremost authority on the subject covers tools and materials; hand moulds; pressing, drying, and sizing; hand- and machine-made paper; watermarking; and more. Over 320 illustrations. Reprint of the second, revised, and enlarged 1947 edition. 688 pages.